I have been a runner since I was about 13 years old. For almost five years I ran almost exclusively around my small hometown of Fairhaven, MA. Fairhaven is a pretty town with wide sidewalks and lots of familiar faces. Parents and coaches often stopped me while I was running to say hello. Most of the time I didn’t mind the interruption. But running was also about solitude. I was lucky to live near the Phoenix Bike Path which ran through Fairhaven and the neighboring town of Mattapoisett. I could always find somewhere to be by myself there. 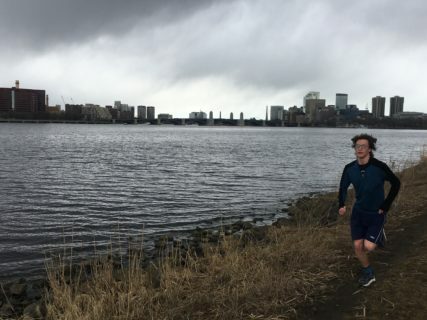 When I knew I was coming to Emerson College in Boston I looked forward to running along the Charles River, but I worried about having a place to go to spend time alone. City running is a totally different beast than suburban running. You don’t have to be the only person in sight to feel as if you are having time to yourself. You don’t smile and wave to every passerby on Charles Esplanade like you to in Fairhaven. When you run in the city, you share your solitude with all the runners around you. I have friends at home who talk about how rude people are in the city. Nobody smiles, nobody waves, and everyone is in a rush. A year ago, I would have agreed, but after about six months of running in Boston I’ve started to appreciate city running more than I thought I would. I no longer see the people on the Esplanade who don’t smile at passersby as antisocial or rude, I understand that they are just enjoying their run, the same as I am. 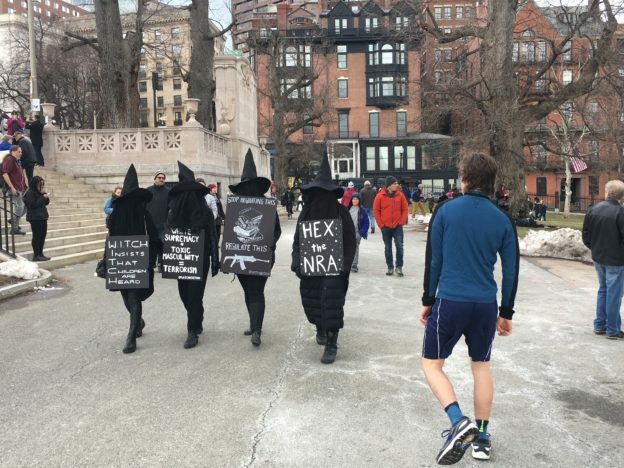 There are interruptions in my Boston runs; these inevitably occur in front of the statehouse. There are almost always protests there, particularly on the weekend. Minutes after I jog up, someone will start telling me about an issue, often one that I had never heard about. I’d never been involved with a protest in Fairhaven; I’d only seen them on TV. I knew Boston would be a far more active place than my home town. But I didn’t know what it would feel like until I ran through it. I came to Boston expecting my runs to help me learn the city’s geography. But they’ve taught me so much more. I understand that “city folk” aren’t rude or cold, but just enjoying their privacy. I’m constantly impressed by the activism here, and the passion with which Bostonians address social issues. I loved my quiet runs in Fairhaven. But I don’t miss them, in fact prefer running in this place where people never seem to rest. Away Games contributor Owen Murray is a student at Emerson College. This entry was posted in Blog on April 9, 2018 by agadmin. Sometimes it's about Neo-Nazis. And sometimes it's about last night's game. The Away Games blog unpacks sport stories great and small, and finds out how they figure in the world around us.